Back to back weekend Races? | JustRunLah! Back to back weekend Races? Managing back to back weekend races is the last thing I wanted to do. 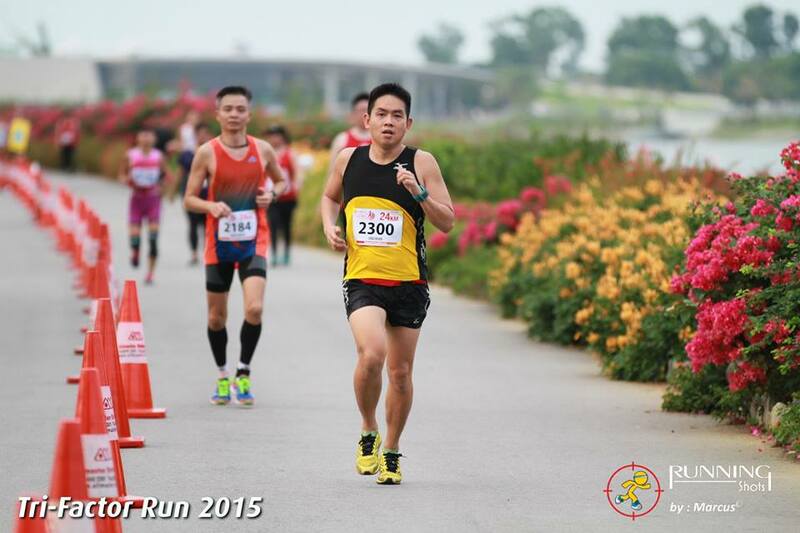 I ran into such a situation last year (2014), Newton Challenge 18km on 26 Oct 14 and CSC Run by the Bay 15km on 2 Nov 14. I suffered badly during the 2nd race, CSC Run by the Bay. 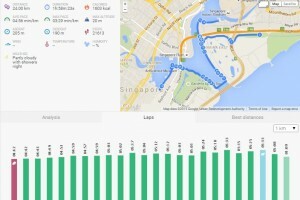 Apart from the timing being affected, my legs hardly can stride after 10km. It was painful and I risk having injury. Hence after the experience, I keep reminding myself that back to back weekend races must not happen again. All was well, races start to be scheduled for 2015, getting early bird and loyalty invites from races that I had participated in previous years. The races seem well spread out, having 2 to 3 weeks gap in between. So there were these races that I will almost immediately register when I received the email invites (as long as they have 2 weeks gap in between), Marina Run, 2XU, Run 350, Sundown, Tri Factor Run, Straits Times Run, Race Against Cancer, Newton Challenge, CSC Run By the Bay and StandChart. 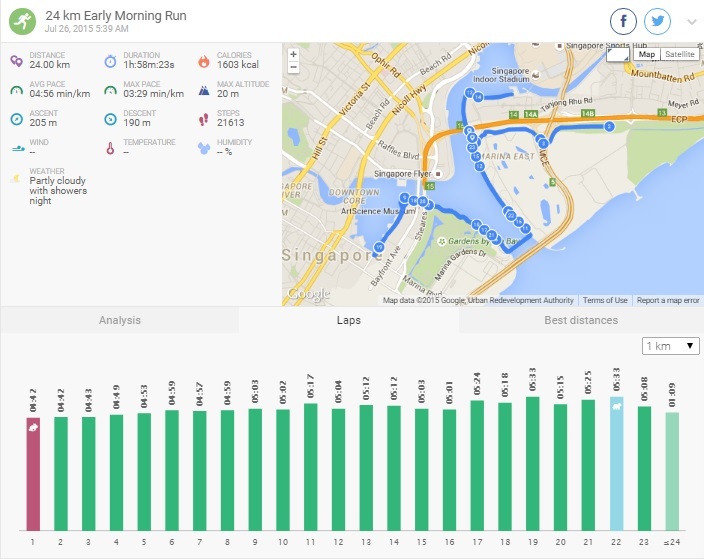 After charting out, everything look great, I registered 2XU (21km) and Tri Factor Run (24km) back in Dec 14, then being scheduled in Mar 15 and Jul 15 respectively. 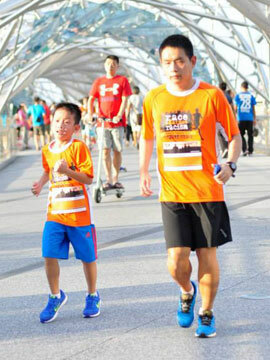 However, due to the national mourning week, 2XU had been rescheduled to 1 week after Tri Factor Run. The situation of having back to back weekend races in 2014 happen again, this time really due to unforeseen circumstances. Hence I need to make a decision, to forgo one and focus on the other? Or forgo training between the two races to rest? In the end, I made a greedy decision. I wanted everything, I want to do well in Tri Factor Run (24km), I want to train and meet the weekly 40km regime and I want to do well in 2XU (21km). Nothing change before the week of 20 Jul 15, I just maintain my 40km weekly regime (weekly regime of 40km to maintain my weight, I easily grow fat) and push ups. 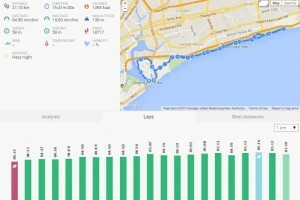 On the week of 20 Jul 15 onwards (Tri Factor Run), I front load the mileage. Completing 34km from 20 to 22 Jul 15 (Mon to Wed), and leaving 23 Jul 15 (Thurs) with 6km at an average pace of about 5:00 per km. This allows me to have a good 2.5 days of rest before the race on Sunday. 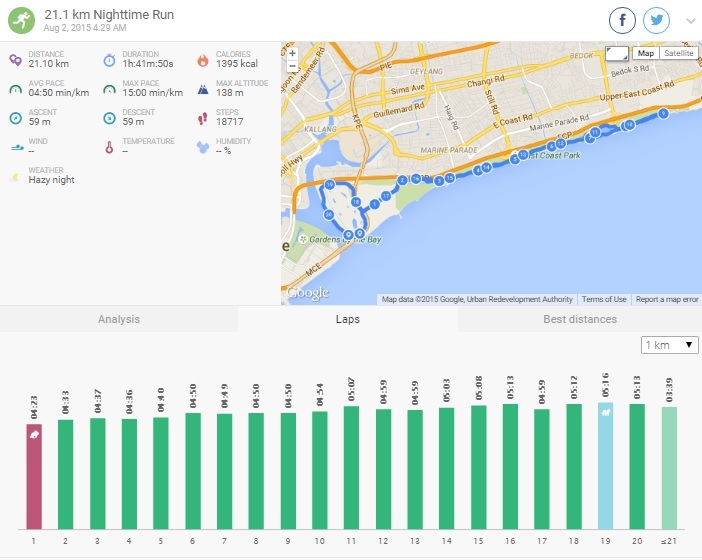 And on the week of 27 Jul 15 (2XU), I adopted almost exactly the same tactics, front load mileage for 2.5 days of rest at a slower pace of 5:30 per km. 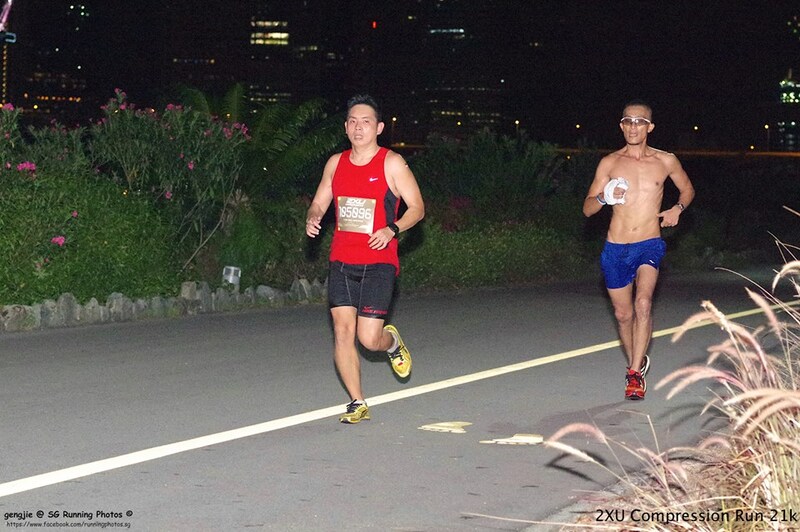 I couldn’t have asked for a better result in both Tri Factor Run (24km) and 2XU (21km). For Tri Factor Run, it was the 1st time since 2011 that I had attempted race that is more than 21km, I managed to come in at 1:58:23. And for 2XU, PBed, coming in at 1:41:50 (previous PB achieved during Run 350, 1:43:10).